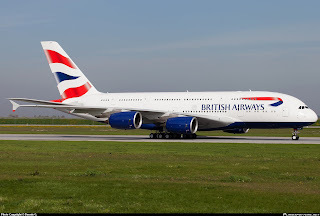 British Airways received its first Airbus A380 jet at Heathrow airport yesterday, marking the start of modernising its aging fleet with new, more fuel-efficient planes able to better compete with fast-growing rivals. 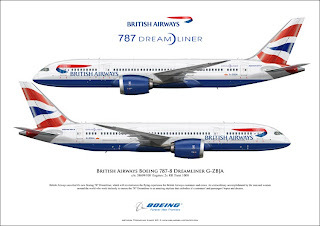 BA, part of International Airlines Group, which received the first of its new lightweight Boeing 787 Dreamliners in June will become the first airline in Europe to fly both new planes when it launches passenger services with the two jets in September. The aircraft are the centrepiece of a 10-year $15 billion upgrade to BA's long-haul fleet, which will include retiring the older and less fuel-efficient Boeing 747-400 jumbos. "Over the next 12 months we will take delivery of new long-haul aircraft at an average rate of one every two weeks," said BA Chief Executive Keith Williams. 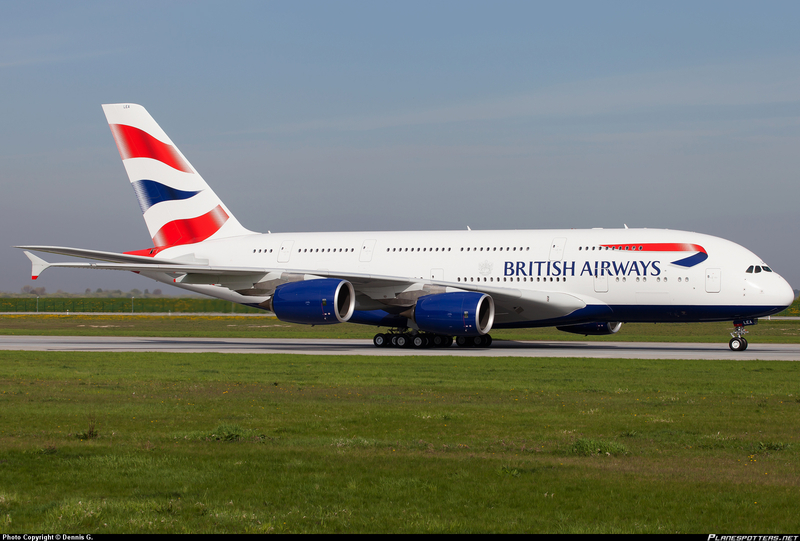 BA has 12 A380s and 42 Dreamliners on order for delivery over the next 10 years. 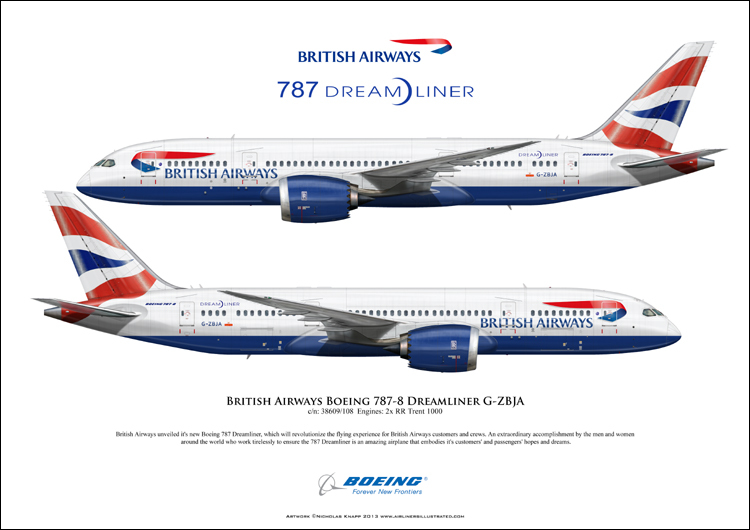 BA's fleet modernisation program also includes orders for six new Boeing 777-300ERs along with 18 Airbus A350 jets. BA's ageing long-haul fleet has put it at a "cost and quality" disadvantage to rivals, especially deep pocketed Middle Eastern carriers such as Emirates, with newer, more cost-effective planes that are also more comfortable with superior facilities, according to Davy analyst Stephen Furlong. IAG will need to wring all the profit it can get from its new jets if operational problems at its Spanish carrier Iberia continue to wipe out progress at BA. IAG, Europe's third-biggest airline group by market value, had an operating loss of 278 million euros in the year's first three months, with Iberia contributing 202 million euros of that as it suffered from competition from low-cost rivals and high-speed trains and labours disputes. BA broke even during the quarter, helped by strength in business and first-class traffic. BA's two new planes also promise more fuel-efficient flying and significantly reduced noise at the carrier's Heathrow hub. Their arrival will be welcomed by bosses at Heathrow who plan to name and shame airlines found guilty of breaking noise limits as the airport seeks to win more public support for plans to build a third runway. Noise produced by airlines using Heathrow affects 700,000 local residents, according to Britain's Civil Aviation Authority, more than any other airport in Europe. This has held back the airport's campaign for expansion. Heathrow CEO Colin Matthews says Heathrow is "significantly quieter" than it was in the 1970s and that the situation would improve further as a new generation of quieter, more fuel efficient jets are used by more carriers. Boeing claims its 787 has a smaller noise footprint than other wide body aircraft and is equivalent to the sound of heavy traffic at a roadside. Airbus, however, says the A380 makes half the noise of Boeing's 747 -- previously the world's biggest jet -- during take-off because its Rolls-Royce Trent 900 engines are wider, enabling more cold air to pass through them. Both manufacturers say their new planes burn at least 20 percent less fuel than similar, older models. BA's A380s, the first of which will fly in from Airbus' Toulouse production site on Thursday morning at 0925 GMT, are capable of carrying 469 passengers in a four-class layout. The BA superjumbo has a lower seat density than many of its competitors, as it looks to lure more passengers to first and business class seats, the most profitable part of its business. Following training, BA will start commercial flights on 787s from September 1 to Toronto, with its A380 due to start service to Los Angeles by October at the latest.